WE must try to put issues in their right perspective and recognise things as they are. What our legislators and others bent on playing politics with the unfortunate death of a man should be asking for is justice for all. They do not love Badeh more or care for the security of Nigerians more than those who demand that the murderers of Badeh should be tracked down and made to face the law while the question of his trial is not linked to some nebulous claims of his being privy to some classified information. 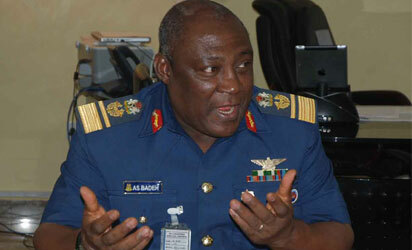 We can love Alex Badeh without spinning or rewriting the story of his life. Nor should we condone what might be the less desirable or condemnable aspects of his official conduct. Nigerians are best served when all of us, especially the elite, understand that our safety lies in the safety and security of all. In collective security is our safety guaranteed. Creating privilege for a few Nigerians at the expense of hundreds of millions is at best foolishness. Today the Nigerian police operates as a private security guard company where everybody, including common felons, who have the means are assigned armed guards. Once an individual has some few thousands of naira to expend they are assigned police officers to serve as their personal guards. Other times, police men or women are deployed to enforce payment of debts by persons with the right connections or execute illegal arrest of people. Even on short time basis, police officers on clearly illegal assignments accompany those who can afford it to navigate dangerous highways or simply join the travelling convoy of a private individual for protection against armed robbers or indeed just for a demonstration of power against fellow citizens. This is increasingly the case in a country where money and the privilege it confers is everything. Nigerians who don’t have the means are left to safeguard their own life and property. Not only are Nigerians called upon to provide their own electricity, drill boreholes or wells for water and transform dirt roads to thoroughfares, they now provide their own security by way of neigbourhood watch and vigilantes where the Police Force have been taken over by the rich and connected. Under Ibrahim Idris, the Inspector General of Police, the Nigerian Police has become totally venal having turned the private property of just some and not all Nigerians. So after government officials, appointed and elected, have had their pick, other persons and groups of interested parties, comprising wealthy business people, traditional rulers, lower level government officials- past and present; people connected to police officers, banks and other business concerns- after these all have had their pick, then the remaining hundreds of millions of Nigerians are left at the mercy of the demoralised constabulary that constantly harasses the populace in an obvious display of their frustrations. We have it on the authority of Isa Mishau, a senator of the Nigerian State that hundreds of millions of naira go into the private coffers of the top echelon of the Police Force who have turned the police into a money-making concern. Today you find police officers in a brazen show of power accompanying well known fraudsters, yahoo-boys and men, around major towns and cities. They protect noisy musicians, politicians, oil magnates, officials of multinational corporations, foreign and local oil company executives and their families. They are involved in executing demeaning errands and chores like cleaning, sweeping, cooking and all what-not- carrying handbags and files of not just their hirers but the wives and mistresses of these individuals. They are often to be spotted in the convoy of political thugs or providing cover for their criminally-minded principals, lounging or dozing lazily at the entrance of private homes where they are treated as ordinary ‘mai guard’- yet these are men and women of the Nigerian police trained at tax payers expense! They become easy targets of armed bandits on their routine call at commercial concerns like bank premises. A most recent case being in Offa where police offices were slaughtered by a gang of robbers led by no less a personality than –wait for it: a dismissed police man! The Nigerian police, driven by the lure of profit for the senior officers, compete with private security outfits for the patronage of commercial concerns. Never before now have police officers been reduced to their present level of beggary where officers are more interested in performing guard duty for those able to afford it than serve in their primary role of prevention, investigation and prosecution of crime. Today’s police officers are happy conducting ‘stop and search’ duties at illegal check points and openly demand gratifications in cash and kind from road users. While the Police have in recent times increased their recruitment drive, the entire process has been fraught with allegations of corruption, nepotism and favouritism. At less than half a million, indeed about three hundred thousand(?) officers, relative to a population of about two hundred million people, Nigeria is one of the least policed states in the world even when a close scrutiny of the police pay roll may reveal there are hundreds of thousands more people in the Police than actually exist on ground. It amounts to no exaggeration to say that the Nigerian police and other security agencies exist to serve only people in authority. In Lagos, for example, a former governor is entitled to six police officers as personal guards and two officers of the Department of State Services. If a retired governor has this number of police officers as personal security, what would a serving governor have? We are not talking here of those hangers-on of the governor and those of their spouses that would also demand their own personal security arrangement. Multiply this by the number of officials at different tiers of our bloated bureaucracy nationwide and you begin to have an idea of what I am saying. By the time police officers are deployed to guard duties of various kinds, there are too few left to take care of the vast majority of the people with an extensive army of young, unemployed and sometimes unemployable graduates, artisans with little or no capital to set up, workers that are owed many months, even years of unpaid salaries- in a country where infrastructure is in near total collapse and hunger is rife. Our uniformed personnel are poorly paid, kitted and housed, yet they are assigned weapons, albeit decrepit and obsolete, with which they can at least do a lot of damage to their superiors in uniform and the unfortunate ‘bloody civilians’. With such level of disfunctionality do we still wonder why there is neither hiding place nor protection for the privileged few?